Trend-setting chef Bobby Flay has created a bold new style of cooking, inspired by southwestern flavours, which has turned his Bobby's Mesa Grill, into one of America's most talked-about restaurants. This book reveals the secrets of his new style. Bobby Flay stars in Food Network's Boy Meets Grill, BBQ with Bobby Flay, and Iron Chef America. He is the owner of the acclaimed New York City restaurants Mesa Grill, Bolo, and Bar Americain, as well as Mes Grill Las Vegas in Caesars Palace. He is the author of Bold American Food, From My Kitchen to Your Table, Bobby Flay Cooks American, Boy Gets Grill, and Grilling for Life. He lives in New York City. Fort more information on Bobby Flay, visit www.bobbyflay.com. 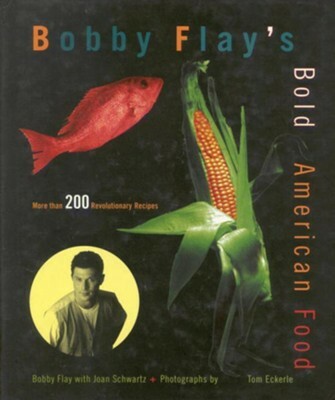 I'm the author/artist and I want to review Bobby Flay's Bold American Food - eBook.